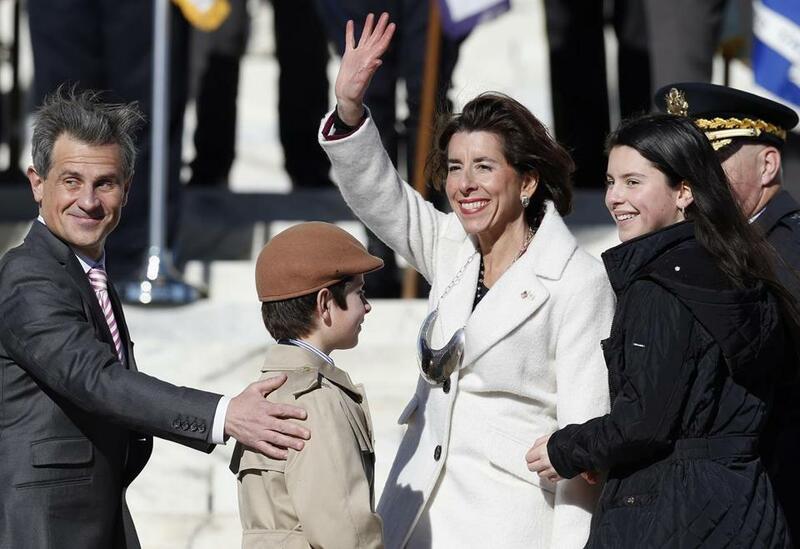 Rhode Island Governor Gina Raimondo stood with her family Jan. 1 after she was sworn into a second term. PROVIDENCE — Rhode Island Governor Gina Raimondo released a $9.9 billion state budget plan Thursday that closes the deficit, invests more in education, and expands the sales tax. The legislature will review the proposals and present its plan before the 2020 fiscal year begins in July. The Democratic governor recommended a plan that’s $357 million, or 3.7 percent, higher than the fiscal 2019 enacted budget. It would close an estimated $200 million deficit, in part due to revenue estimates in November being higher than expected. Raimondo is proposing to legalize recreational marijuana for adult use. The budget includes about $6.5 million from taxing recreational and medical marijuana. Raimondo also wants large companies to pay a portion of their employees’ Medicaid costs. She wants to apply the sales tax to a variety of services. And she’s proposing spending millions more on education from the time students begin pre-kindergarten. The budget continues economic development incentives started under the Raimondo administration and supports a 60 cent increase in the minimum wage, to $11.10 per hour.